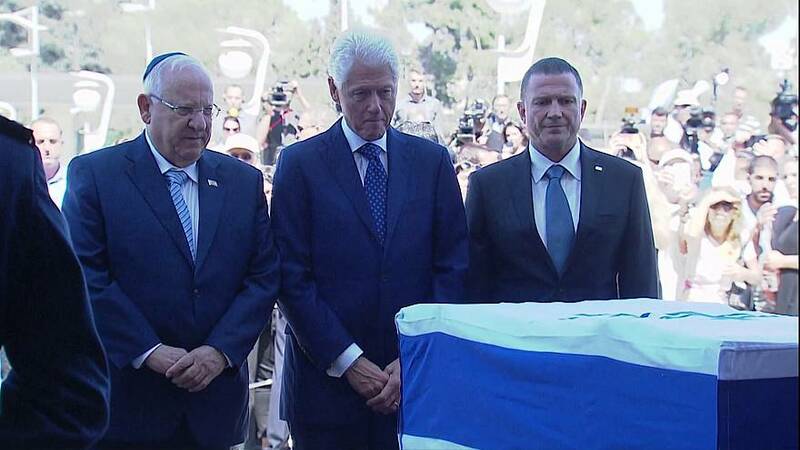 Mourners in Israel have been paying their final respects to former president and Nobel Peace Prize winner Shimon Peres. Peres died on Wednesday aged 93 after suffering a stroke two weeks ago. “Shimon Peres for me was a man of both practicality and ideals. And we hope to continue his pursuit for peace even after he’s gone. But the world will be a poorer place without him, and for sure in Israel we don’t have many leaders like him to look up to,” one mourner said. “I came in honour of prime minister, president Shimon Peres. And I came to honour the hope for peace and to protest against not doing anything for peace,” said another. Security remains ultra tight ahead of the funeral ceremony in Jerusalem. Thousands of security forces have been deployed in and around the city. A special command and control centre has also been set up with a who’s who of past and present world leaders expected to attend, including US President Barack Obama, German Chancellor Angela Merkel and French President Francois Hollande.